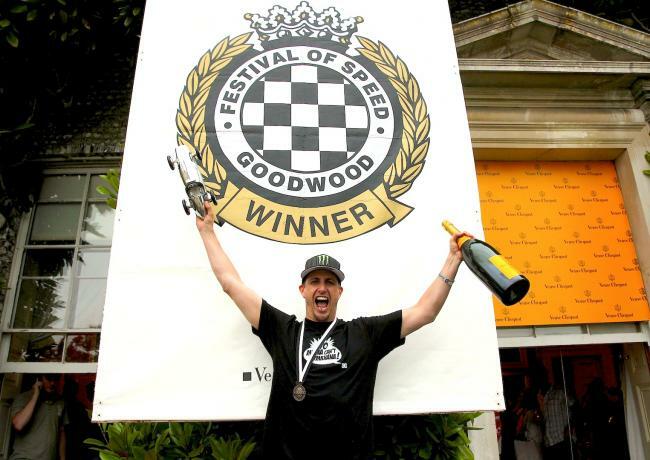 June 27th, New York, New York: Monster World Rally Team driver, Ken Block, will be returning to the Goodwood Festival of Speed this coming weekend to attempt to recapture the Veuve Clicquot “Most Thrilling Driver” award, a title he was given during last year’s event for hooning up the famed hill. 2010 marked the World Rally Championship driver’s first-ever visit to one of motorsports’ most prestigious and well-known motoring events, where drivers from all forms of racing convene and run their respective cars up the 1.2-mile long driveway of host Lord March’s estate in Chichester, England. To double his odds of securing the Veuve Clicquot “Most Thrilling Driver” award once again, Block will be bringing out two cars to this year’s Festival of Speed. His Gymkhana THREE Ford Fiesta and his Ford Fiesta RS WRC that he currently runs in the World Rally Championship. 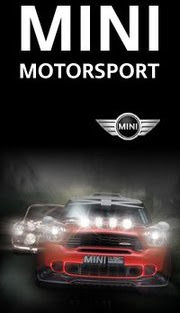 This year’s Goodwood Festival of Speed runs from July 1st through July 3rd. Follow Ken Block during his visit to the event at monsterworldrallyteam.com, facebook.com/KenBlockRacing and facebook.com/MonsterWorldRallyTeam.